I’m not in need of a Norwegian passport. But if I was ultra-motivated to pick one up and it meant spending seven years living within the Arctic Circle, I would be ready and willing to migrate… to Svalbard. Situated above the 70th parallel north, Svalbard is farther north than Antarctica (at least the part I visited) is south, and it is only about 1,000 kilometers away from the North Pole. Legally part of Norway, Svalbard is an archipelago that sits about halfway between the North Pole and mainland Norway. Just one of Svalbard’s islands, Spitsbergen, is permanently populated. For people like me, Svalbard has immediate appeal when you see that, by law, the archipelago is a free economic zone, and it is a de facto visa-free zone. Anyone who manages to fly in or take a much more difficult boat trip to Svalbard is basically welcome to live and work in the archipelago. Stay seven years through the cold and extreme cold and you are in line for a coveted Norwegian passport. I’d be riding around on an ATV armed with a rifle and ready at a moment’s notice to defend the local population against a polar bear invasion. That would make for an exciting day job. Then at night I would drink nothing but shots of 78% ABV vodka. 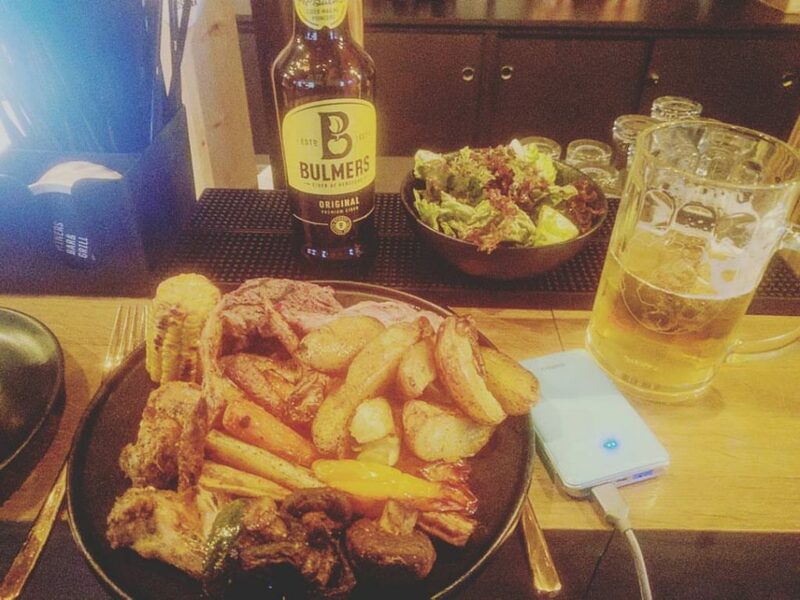 That is the life… and it comes with a Norwegian passport. Are you enticed? As a side project, I would buy a ghost town, fix it up and reap the rewards increased tourism would bring (Doubt the potential? A ghost town in California just sold for $1.4 million, and it doesn’t have half the attractions of Svalbard). See, even living the party life in the Artic comes with investment opportunities. Don’t worry. 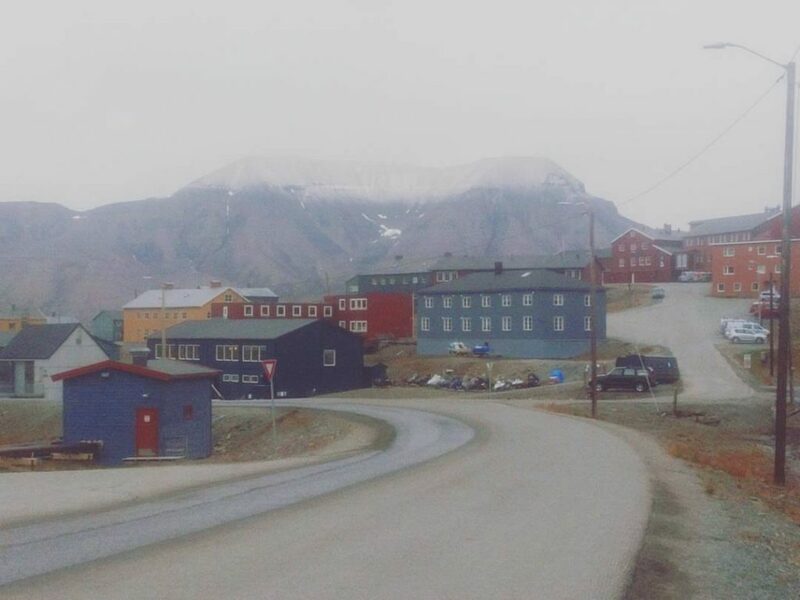 If you move to Svalbard, you don’t need to live in a ghost town. You can join me in the bustling capital that’s got a pub and club scene. But, if we really wanted to, we could create our own Arctic stateless colony to compete with our Antarctic stateless colony for the title of most remote Free Private City. While you do have to guard against polar bears, in Svalbard you don’t have to worry about Nazi space weapons and unidentified descendants of Hitler. Lastly, I should mention… Yes, there are Thai masseuses in this Arctic archipelago. Okay, now I’m sure you’re ready to join me on an excursion to the far, far north of Norway. The trip begins with a flight from Oslo. I landed in Longyearbyen (Seriously, what a cool name? ), the capital — or main settlement — of Svalbard after a few-hour flight from Oslo. Despite being in Northern Europe, Oslo is actually located closer to Africa than to Longyearbyen. That’s just a little perspective of how far north Svalbard is. 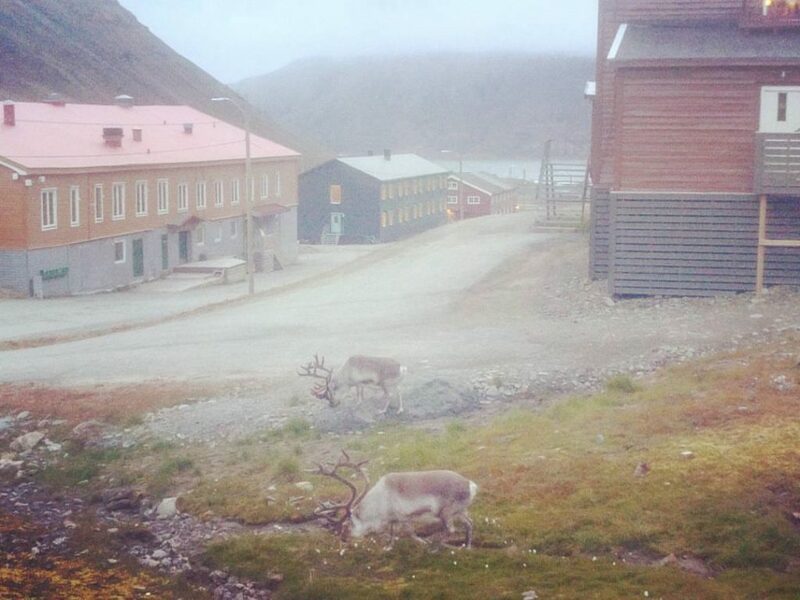 My trip to Svalbard was in late August — just after the first-ever Heuereka— a good time of year to go. It’s still “summer” so it’s not too cold, and it stays light out almost all day and night. Precisely, there are about 20-21 hours of sunlight in Svalbard at that time of year. The fun, at least during the day, really begins when you venture out into nature… on a quad tour… with a lovely Norwegian guide. Of course this lovely Norwegian lady was equipped with a big gun for defense against polar bears. My hot, packing guide led me to an old, yet operational coal mine; a weather station with worthwhile views; and the one and only global seed vault. The seed vault is where the nations of the world store seeds belonging to nearly every known plant species in case one day there is an apocalypse or alien invasion or something of that sort. 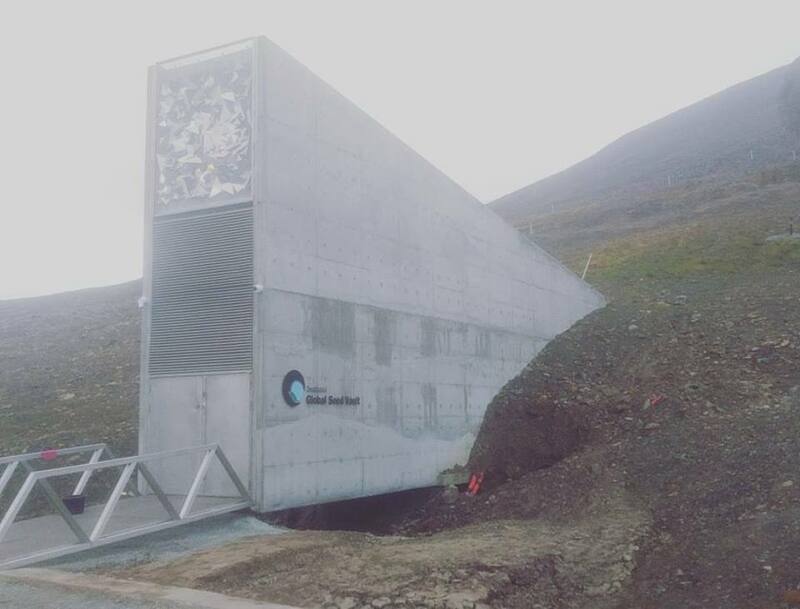 The vault is basically a tall bunker that sits in permafrost on a hillside near Longyearbyen. Though Longyearbyen has a bunch of hotels, I opted to stay in a hostel about a kilometer away from the Svalbard capital’s main settlement. Unfazed by the polar bear threat, I found it safe to walk around town. But when you venture outside of town in Svalbard, you are required to have a gun with you. 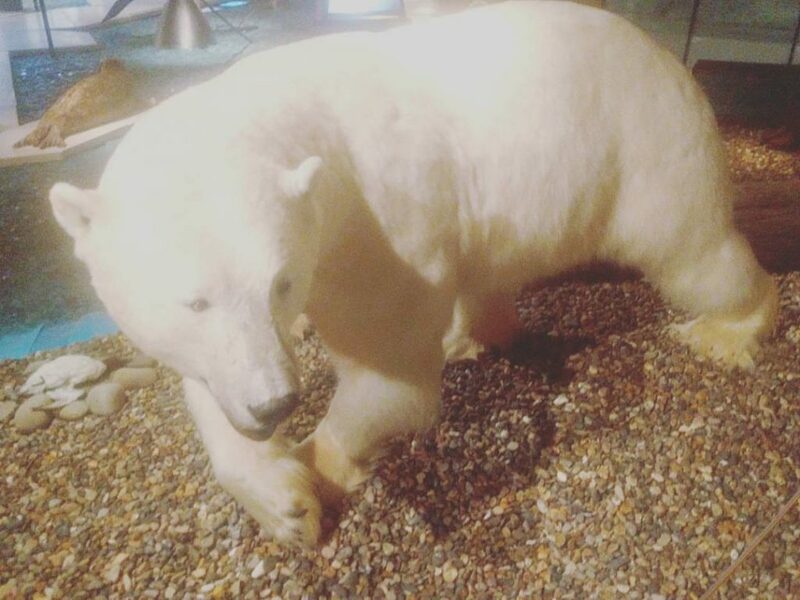 I happened to spot one polar bear while day-tripping out in the wild. The polar bear was off at a distance, so I didn’t get a great look it, and there was nothing scary about the encounter. 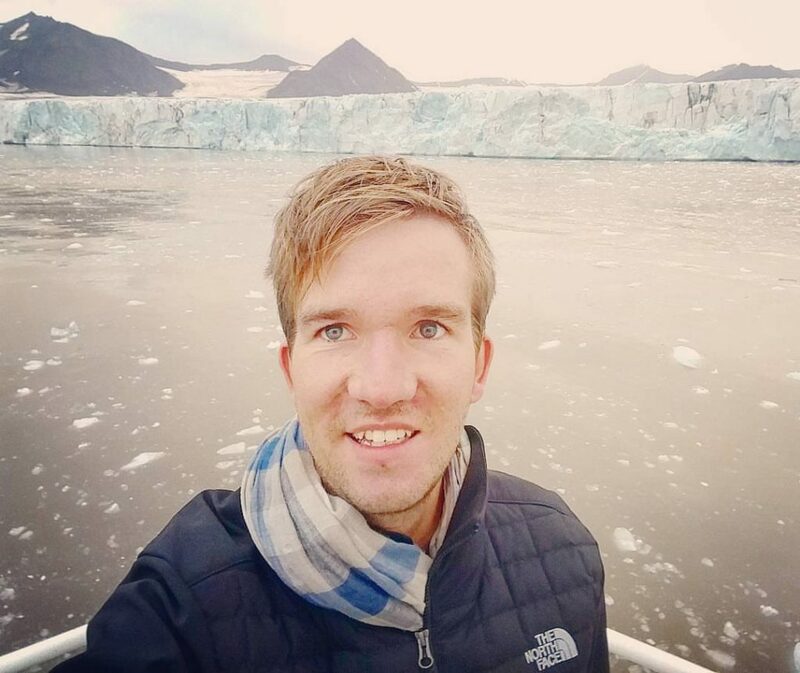 One destination I visited was the Nordenskiold Glacier. I happened to visit the glacier at midnight, so I guess it wasn’t so much of a daytrip as it was a night out. But at midnight, I still managed to see the glacier in broad daylight. The glacier lies close to the town of Pyramiden. Check that… The glacier lies close to the ghost town Pyramiden. 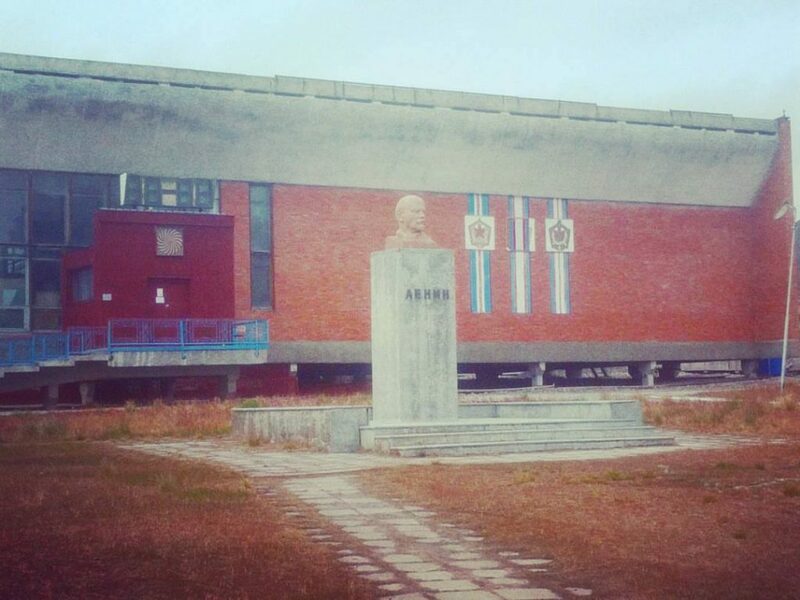 Pyramiden is not just any ghost town. 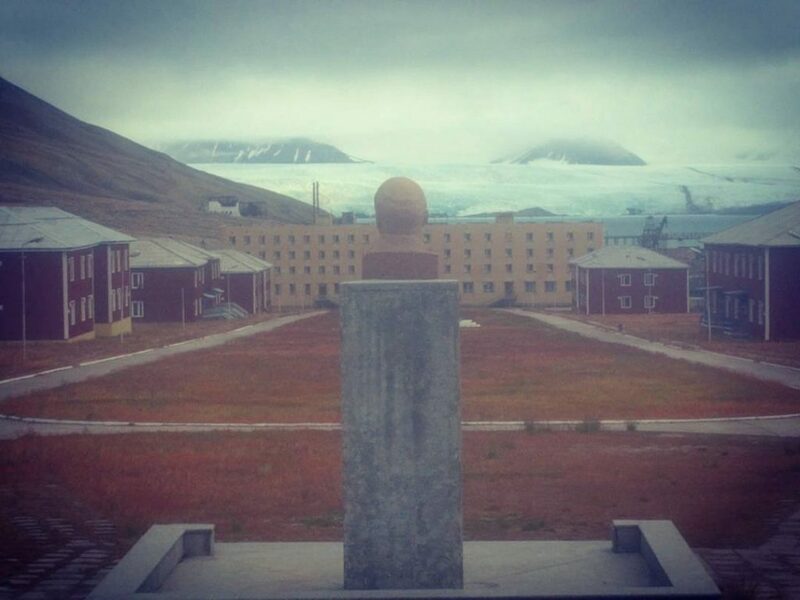 It is the world’s northernmost ghost town. And it has the world’s northernmost Vladimir Lenin statue. Why is that? 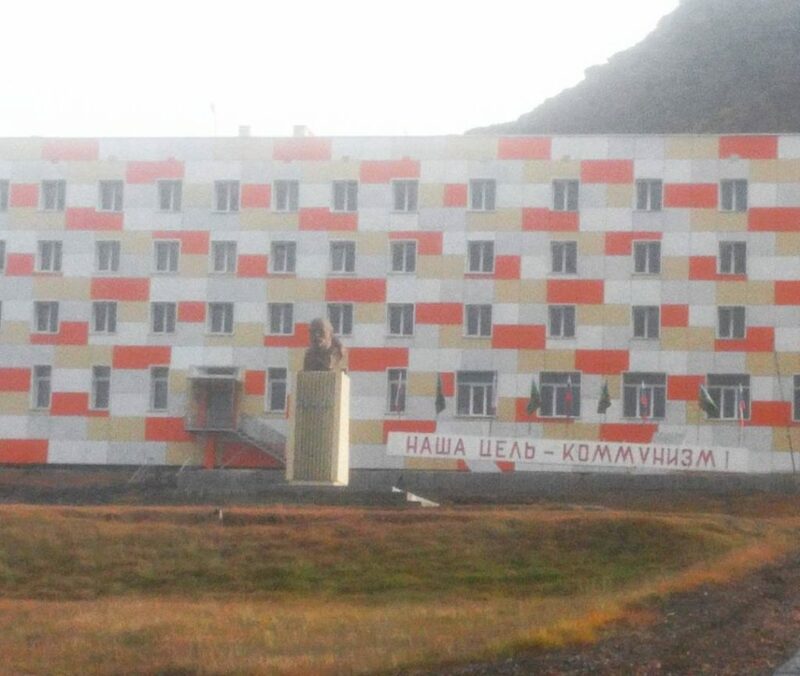 Pyramiden was once a Russian, or rather Soviet, coal-mining town. It was also supposed to be some sort of communist utopia… that or the location of a secret Soviet base — akin to the Nazis’ Neuschwabenland (you must know the story by now…) but near the North Pole, not the South Pole. Founded by Sweden, Pyramiden was purchased by the Soviet Union in 1927. To this day, it’s still owned by the Russian government, but the town was abandoned by its inhabitants in 1998 after the mining operation shut down. Despite its current ghost town status, Pyramiden still has few people hanging out — actually living — there. The local crew looks after what’s left of the settlement, warding off the polar bears and potentially guarding state secrets and keeping tabs on a Russian weapons program… Who knows?? During Soviet times, people wanted to live in Pyramiden, and Soviet citizens (particularly Ukrainians) would actually immigrate to Pyramiden by choice. Supposedly that was because the town had very good infrastructure and food. Maybe in reality people were lured by the mining work, strong booze and possibility to prove how Russian they are by living next to the North Pole. Or, since Pyramiden could be accessed without a visa, it was an opportunity to showcase to the world the eutopian nature of life in a communist settlement in the middle of nowhere in the Arctic. Or perchance more nefarious stuff was going on in Pyramiden. I’ll leave that to your imagination. What’s left in Pyramiden nowadays — at least what the Russians let visitors see — includes lots of holes in the ground from past mining work and a bunch of buildings, some of which I visited. For instance, I went to the world’s northernmost swimming pool. There is not much swimming going on, though, because the pool, which thankfully is located indoors, does not have any water in it. 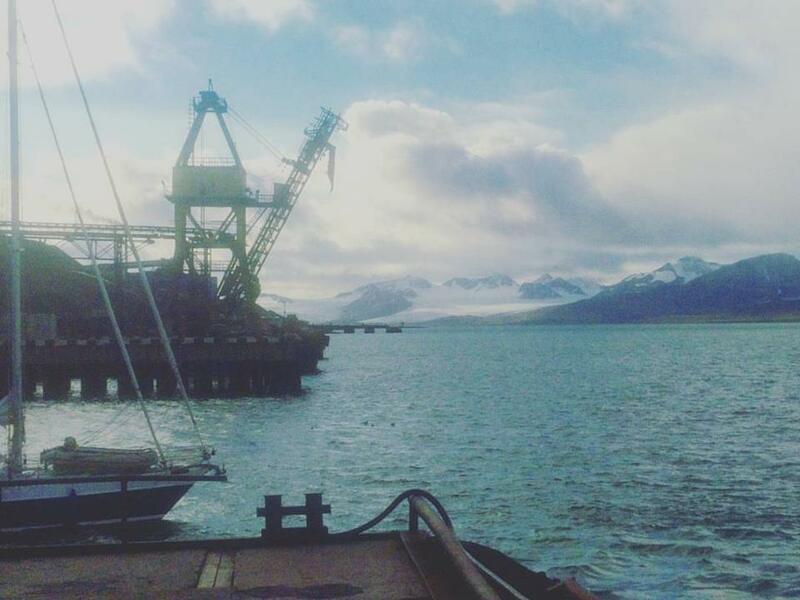 In order to reach Pyramiden, you have two transport options: boat and snowmobile. I opted for boat. 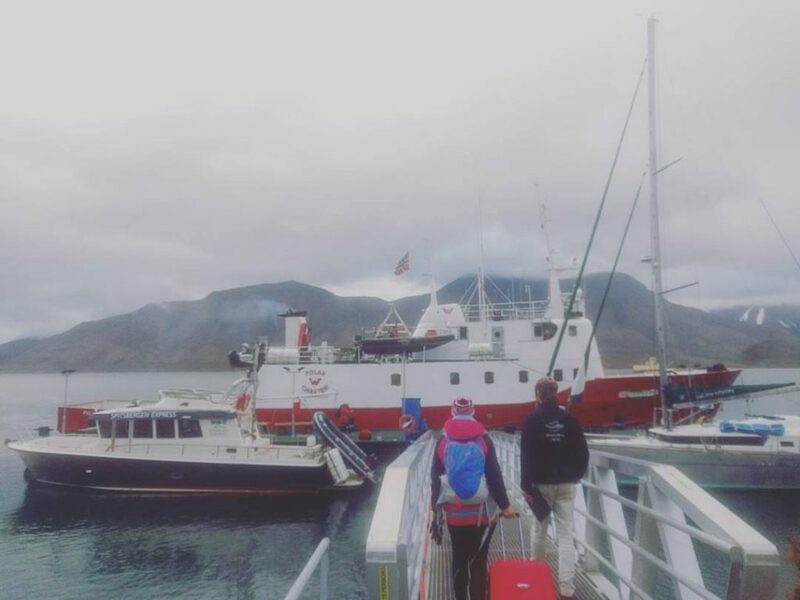 While in Svalbard, I largely traveled from settlement to settlement by boat. One of my other trips on the island of Spitsbergen was to another Russian town (As if Siberia is too hot, Russians seek to cool down by living in the Arctic instead 🙂). This one, Barentsburg, is still populated. Barentsburg is not as mysterious as Pyramiden, and there isn’t that much to see. But the town has a scenic backdrop and I decided to spend a night in a rather nice hotel there. It was actually in Barentsburg where I got a sense of what life’s like in Pyramiden, as well as in the Arctic in general. Some Russians (who were actually probably Ukrainian) invited me to drink beer with them at the local brewery. 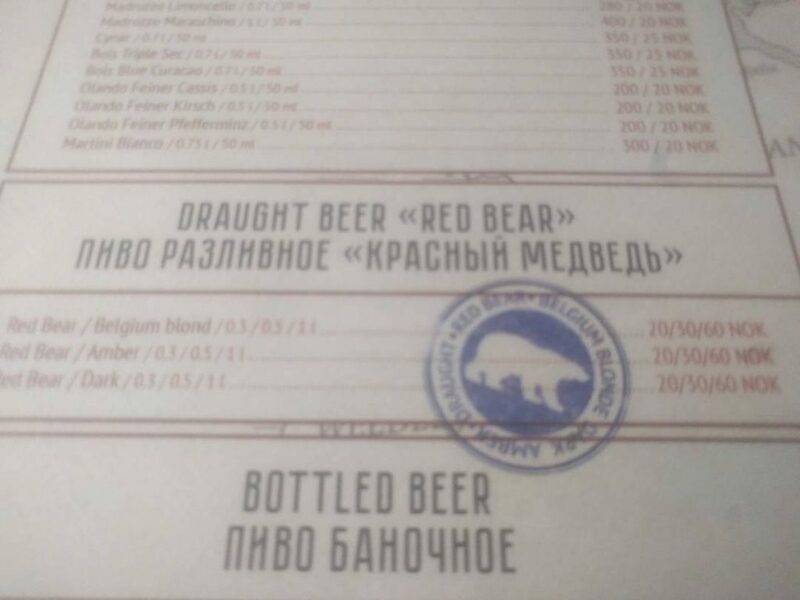 Krasniy Medved (Red Bear), once the world’s northernmost brewery, offers three of its own beers. But my Russian friends and I didn’t come for lite drinks. While at the bar, I indulged in a tradition — drinking shots that have the same level of alcohol as the latitude of your location. 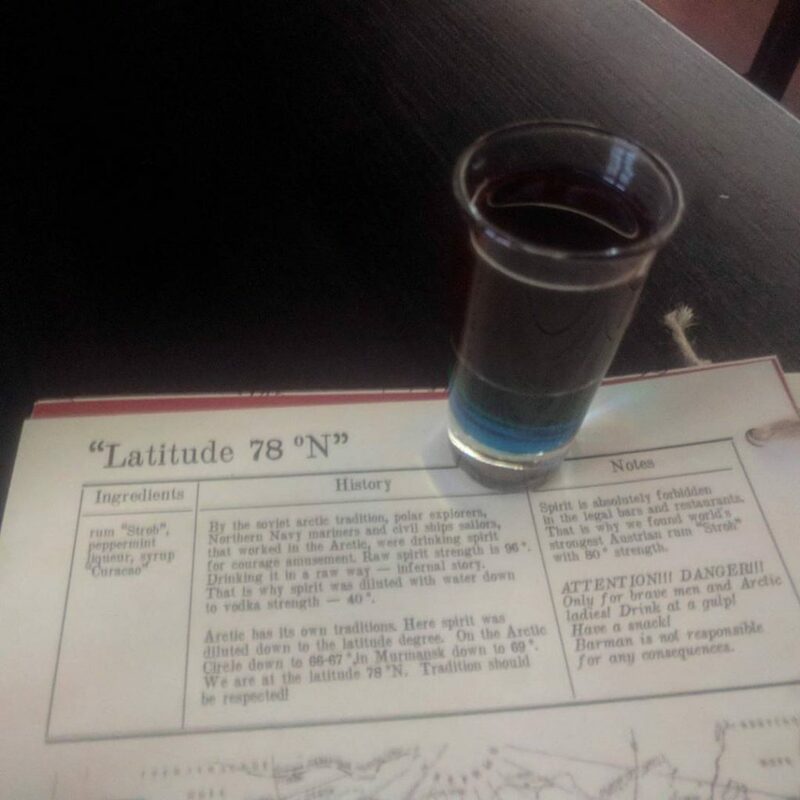 In the case of Barentsburg, it’s located at the 78th parallel north, so I drank shots with 78% alcohol by volume. Actually, that’s all the hard liquor they sell. You want booze in Barentsburg? You drink something with 78% ABV. Shut up and take it, you p—y!! No, it’s not like that. 78% ABV is just part of Arctic life. And Arctic life is a party! If you didn’t already know from reading about my trip to Transnistria, I have an interest in the Russian/post-Soviet world. But despite my affection for Russian-speaking places and their babes and babushkas, I struggle with speaking Russian. It just doesn’t come off my tongue the way English and Spanish, and at times French, do. But there’s a cure for that… booze, duh! Just a little liquored up — thanks to the added ABV — I was telling the devochkihow krasivathey are. I was also getting my groove on the way I did on the party boat in Transnistria. The formula worked: I met a nice Russian girl. We ended up having a romantic dinner, and I felt some chemistry. I don’t think it was the 78% ABV that was creating the chemistry, but even if it was, that’s part of the culture. This mix of Russian and Arctic archipelago cultures can make for a lot of fun. Our fun (between the devochka and me) would have continued, but unfortunately it was my last day and I had to leave. 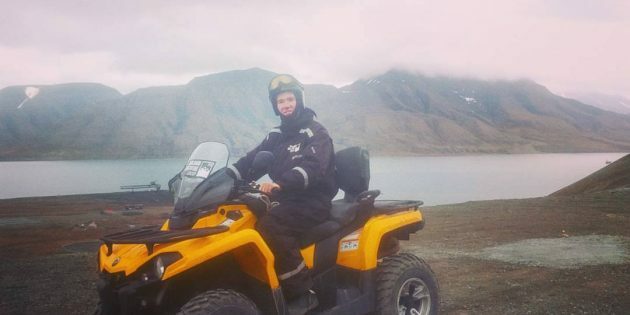 If you like carrying big guns, meeting Russian women, receiving Thai massages, exploring ghost towns and drinking highly alcoholic beverages, all while not having to worry about taxes and visa rules, maybe you join me in the Arctic. Svalbard beckons. 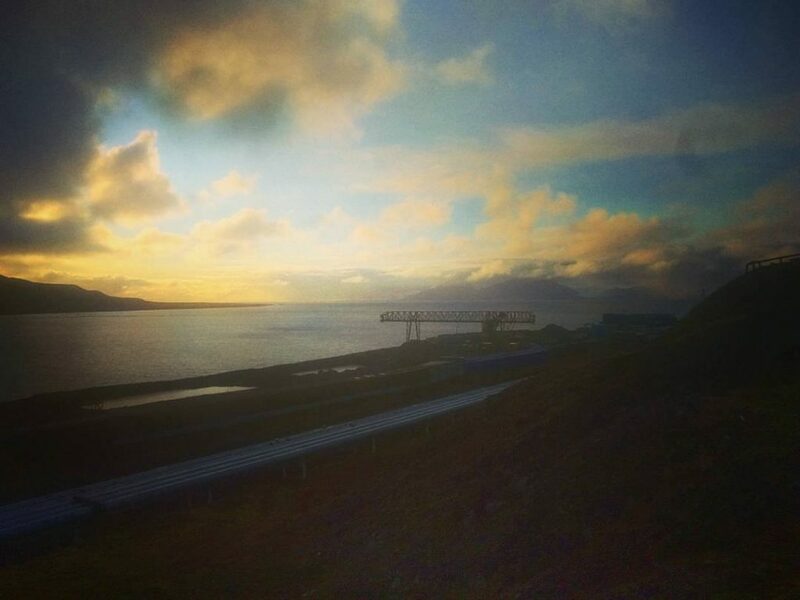 Stay: Svalbard is expensive – even a small bunk bed in a 4-people-dorm will set you back 70€ a night. At least in Gjestehuset 102 which at least has a good standard for a hostel. It is a bit walking from the town center, but remember that it does not get dark anyway. There is also a good restaurant in the other hotel just opposite. Drink: Booze is expensive in Norway – but in expensive Svalbard cheaper due to no taxes on alcohol. Plenty of options to have a beer, but for hard stuff rather go to the Russians in Barentsburg. 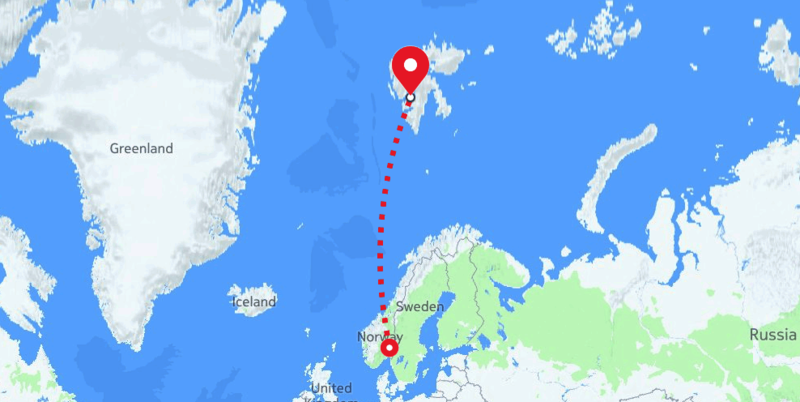 Connect: No need to miss internet – excellent LTE in Longyearbyen itself and even out on sea a few kilometres away. See: Barentsburg and Pyramiden as new and old Russian towns on Svalbard should be on your list. Longyearbyen has nothing special in particular, but is the most convenient base with good dining options and even a night club (and Thai massages). Do: Go around with a sightseeing ship (at least it is warm inside), ride an ATV as far as possible or go hiking in the lovely nature (but dont forget the gun). Even in summer it can get very cold – so be prepared. In winter, dog sledding and hunting the polar lights is a popular pastime. Go there: Norwegian flies daily from Oslo. There are discounted ticket sales several times a year, so booking right and early can save you a lot of money. Go next: Opt for a cruise to Jan Mayen, Bear Island or Greenland – or return to Oslo and discover the fjords of Norway like me after Svalbard.